Florence Griffith-Joyner once said, "Hard work determines how far you get in life." Hard work definitely led to success for Griffith-Joyner. In 1967, Florence "Flo Jo" Griffith-Joyner began exemplifying her "Need for Speed." At age 7, Griffith-Joyner aspired to catch one of the fastest land animals: A jack rabbit. Although this was impossible she still tried and constantly remembered her mother saying "Nothing is going to be handed to you. You have to make things happen." (Griffith-Joyner's mother). Florence learned this while living with her mother and siblings in a lower-income community of Los Angeles. Florence Griffith-Joyner showed breath-taking effort in being the best person and athlete she could be. However, there were people saying she would fail, because she was a female and African-American but Griffith-Joyner didn't give up hope and surprised a nation of unbelievers. Griffith-Joyner’s morally strong personality and hard work made her successful on the track and a hero in life. Florence Griffith-Joyner was morally strong because she used her childhood circumstances as a foundation to build her future. Florence Griffith-Joyner showed moral fortitude when she continuously focused on her goals. Throughout her career, she never gave up on her herself, her fans or her family. Florence Griffith-Joyner reflected on her performance in the Olympics, in Seoul, South Korea: "I had a good start, a relaxed middle, and kept my knees up at the end. It was more or less a perfect race. When I saw that time, I couldn't believe it, but after the first race time I knew I could get into the 10.50's. It just made me realize that if I kept concentrating, I could go faster"(Griffith-Joyner). Griffith-Joyner’s objective was to win the Gold and remain relaxed through the race. She achieved this goal and pleased her mother, her fans, and herself. Being morally strong means being confident. Griffith-Joyner showed confidence as she “relaxed” and ran the “perfect” race. Despite becoming famous, Griffith-Joyner remained humble yet self-confident. After participating in the 1988 Olympics, other track athletes accused Griffith-Joyner of using performance-enhancement drugs. In this matter Griffith-Joyner held her head high, denied the accusations and continued to race. Christie Succop wrote, "Joyner said, all allegations toward her were false and that track is all about chasing records and giving young kids something to chase, too."(Succop). Even in the spotlight Griffith-Joyner found some way not to focus on herself, but to turn her attention on the well-being of others. Florence Griffith-Joyner exhibited a selfless, humble, and a self-confident person. She set the standard for all people who want to be successful in life. Florence Griffith-Joyner was morally strong because she displayed traits of excellent character, such as integrity, selflessness, and humility. Florence Griffith-Joyner was hard working. She gave her full effort on and off the track, especially for the things she wanted to succeed in. Griffith-Joyner said, "I trained a lot harder -- maybe three times harder -- for the '88 Olympics.” Through much work and dedication, Griffith-Joyner reached her goal. "She still holds the world record of 10.49 for 100 meters and 21.34 for 200 meters." (usatf.com). Griffith-Joyner trained exceptionally hard to chase records in the 100 and 200 meter runs. Florence Griffith-Joyner often struggled with getting second in races yet she didn't let that hinder her from working hard and shattering a world record. At the end of a perennial running career, Griffith-Joyner retired with several gold and silver medals. "In 1995, Griffith-Joyner was inducted into the National Track and Field Hall of Fame." (usatf.com). Griffith-Joyner exemplified excellent character and athleticism. After a few years, she received a great honor; The National Track and Field Hall Of Fame. Florence Griffith-Joyner exemplified astounding determination and diligence in her career, and became a world renowned runner and an astonishing person. Griffith-Joyner was hard working and has set records to prove it and she also showed perseverance in everything she did. Griffith-Joyner once said, "When anyone tells me I can't do anything... I'm just not listening anymore." Florence Griffith-Joyner shows self-respect, diligence, and a morally strong personality. Florence Griffith-Joyner rarely focused much on being famous or rich, but she understood hard work and self-respect were the keys to a successful future. Griffith-Joyner inspires me to work hard and to have faith in myself, my dreams, and others. Griffith-Joyner inspires me to let my actions speak louder than my words. Griffith- Joyner did this by starting the Florence Griffith-Joyner Youth Foundation. Evidence of a true hero is a person who works hard for what they want and doesn't get intimidated by stereotypes or others. A true hero "believes in the impossible because no one else does." Wikipedia - For more about the life and times of "Flo-Jo". "Griffith Joyner, Florence." World Book Student. World Book, 2011. Web. 30 Mar. 2011. 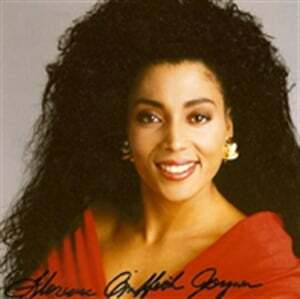 "Florence Griffith Joyner." Encyclopædia Britannica. Encyclopædia Britannica Online. Encyclopædia Britannica 2011.Web. 29 Mar. 2011. "Griffith Joyner, Florence (1959-1998)." UXL Biographies. Online ed. Detroit: UXL, 2003. Student Resource Center - Gold. Gale. DEL NORTE HIGH SCHOOL. 29 Mar. 2011. Succop, Christie. "Amazing Moments in Olympic History: Florence Griffith- Joyner.” www.teamusa.org. United States Olympic Team Official Website, 30 009 2009. Web.28 Mar 2011.